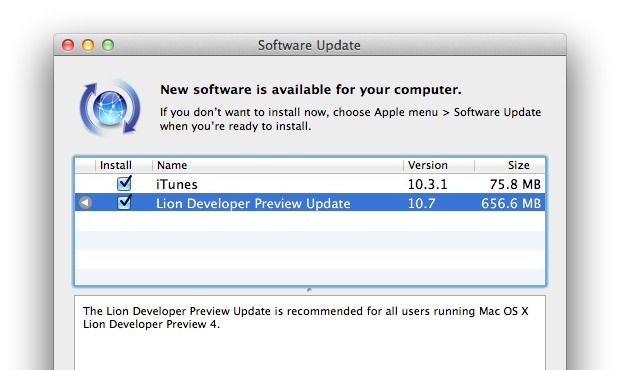 Apple has pushed out another software update to Mac OS X Lion Developer Preview, it’s labeled simply as “Lion Developer Preview Update” and is recommended for all users running Developer Preview 4. This is the first update to DP4, but Apple is not referencing it as Developer Preview 5. Build is 11A494a and downloads as a speedy 656 MB delivery via Software Update. 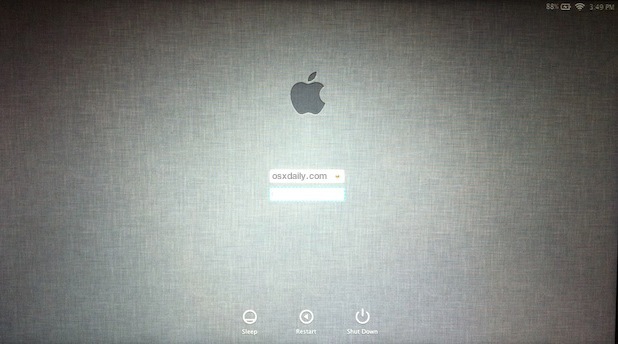 The update likely focuses on bug fixes, but you’ll notice there is a restyled login screen, showing the Apple logo over the linen background wallpaper that is seen elsewhere in Lion. This version of the login screen was shown briefly at WWDC when Phil Schiller logged into OS X.
Apple is pushing closer to the scheduled release of Lion in July, when it will cost $29.99 as a download through the Mac App Store. Edit: Yes, Mac OS X is still called Mac OS X here too. FYI it’s 994mb for me, downloading slowly now. Did they rename it OS X yet?? The logo to enter Full Screen has changed and is a lot larger, almost cartoonish. Not sure if I like it, but it’s a feature. can anyone get that background with the apple logo? looks awesome. Tried three times now and same message, anyone else? Keep trying, worked for me after a few attempts. I think Apple servers are just slammed. Mail and LaunchPad databases have been updated. LaunchPad has been reset for some. Users still cannot use multiple windows of a full-screen app in one “desktop” if using an external display. It seems a new bug with scrolling between next and previous webpages in Safari has been introduced. Anyone else noticed battery issues? Since I downloaded Dev Preview 4, my battery life has become extremely sloppy. Discharges from 100-30% in about an hr. I have re-installed it as well, but no changes and this update doesn’t seem to have helped. 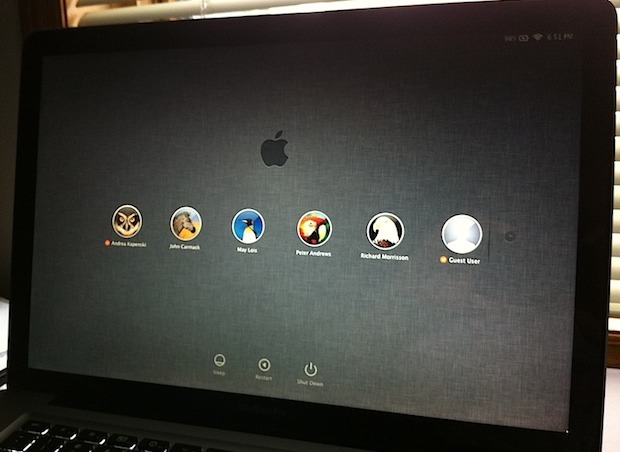 @shravan – Yes, I’ve noticed exactly the same thing on my quad-core MBP. Meh. Two finger scroll between next and previous webpage is also not working for me. Same issue with the Battery life here, seems 45% less!? « “Mac” Dropped from “Mac OS X” – It’s Now Just Called OS X, Does That Matter?